1. A set of monochromatic makeup brushes so they can pamper their face every morning (hello, silky bristles) with something as beautiful as their favorite palette. This set comes with a foundation brush, angled contouring brush, powder brush, blush brush, highlight brush, concealer brush, eyebrow brush, lip brush, two eyeshadow brushes, blending brush, and blooming brush. Get a set of 12 from Amazon for $11.99+ (available in eight styles). 2. A five-year memory book with a pretty gold foil cover and gilded pages that'll make journaling feel so chic. They'll only need to contribute one line a day in order to reflect in style. Eventually they'll have five years worth of quick journaling! See why a BuzzFeeder calls a similar journal the perfect dose of self-care! 3. A bulldog ring holder, because this good boy's favorite trick is making your friend's jewelry look *extra* shiny and expensive. No walks necessary. 4. 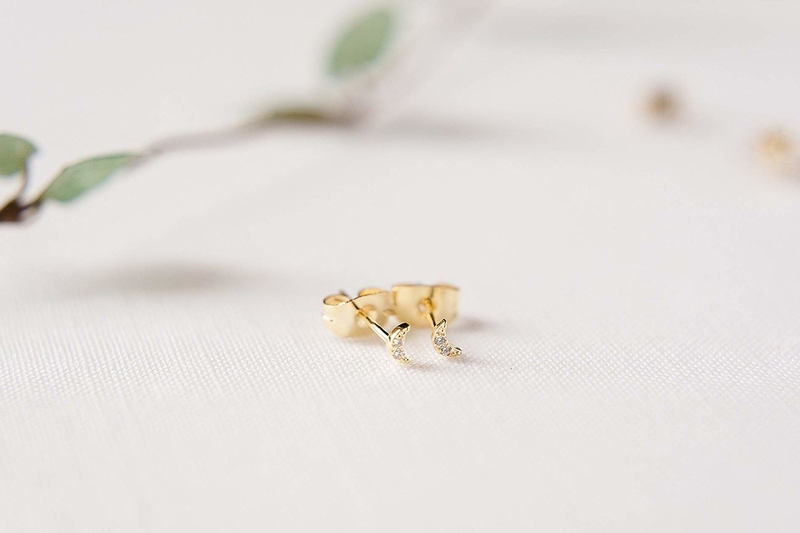 A pair of statement or delicate earrings for putting more than one sparkle in their eyes without dimming your own bank account. Get them from Amazon: the first pair for $15.99 (available in five styles) and the second pair for $18 (available in three colors). 5. A Paris street style coloring book for instantly transporting them to the land of high fashion (and pastries). "OOH LA LA," they'll yell when they open this. ^^My nine years of French is really paying off. It's filled with Parisian window shopping, fashionable outfits, and chic French hairdos to keep you feeling très chic. 6. 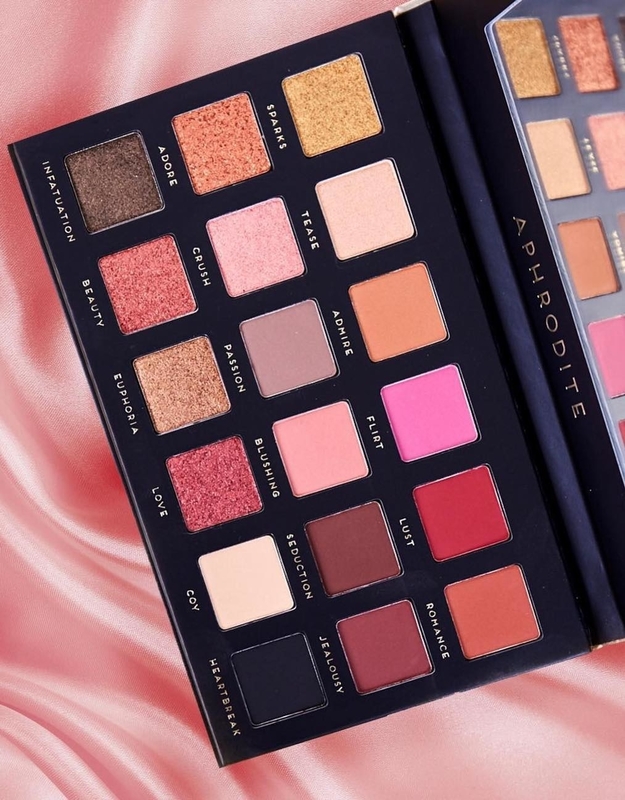 A glimmering eyeshadow palette with 18 richly pigmented and creamy shades so even makeup lovers with designer taste will be impressed by this payoff of mesmerizing metallics. 7. A sheer mock neck bodysuit with statement shoulders that'll immediately make their holidays feel elegant, even if they drink too much eggnog. 8. 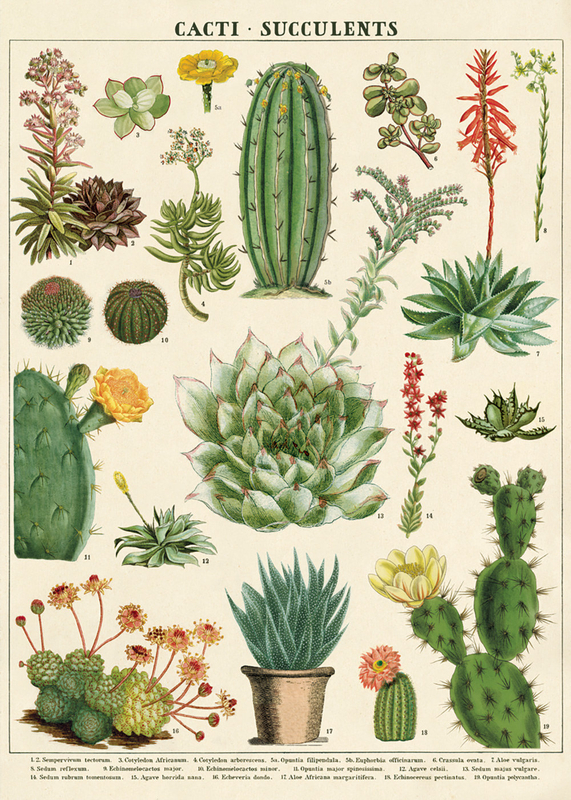 A gemstone or cactus poster, because you may not be able to give them a visit from Chip and Joanne, but you can definitely help them stylishly decorate. 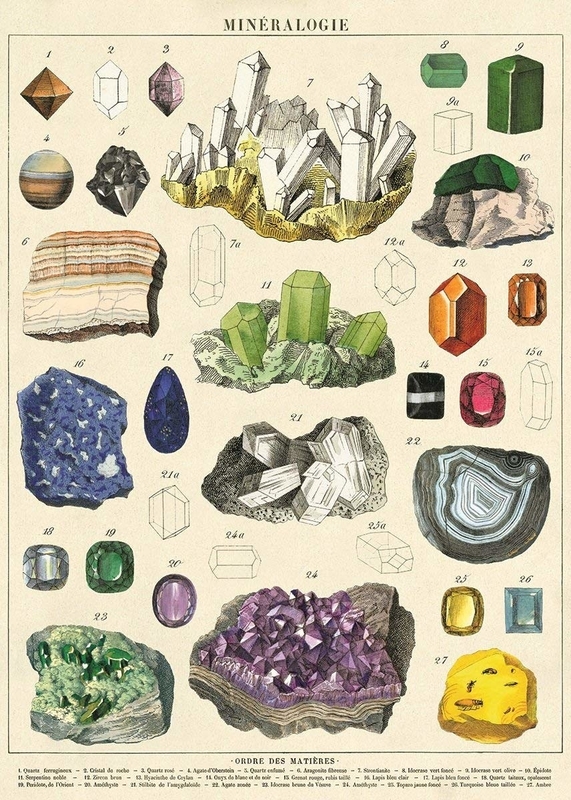 Get them from Amazon: the gemstone poster for $8.18 and the cactus poster for $9.27. 9. A set of gold metal straws for making tap water feel fancier than sparkling. Will they bring these to restaurants? Of course. Get a set of 20 from Amazon for $10.99+ (available in four colors). 10. A rose-print infinity scarf so they'll have a snuggly winter accessory whose fashionable appeal lasts forever (and ever). 11. 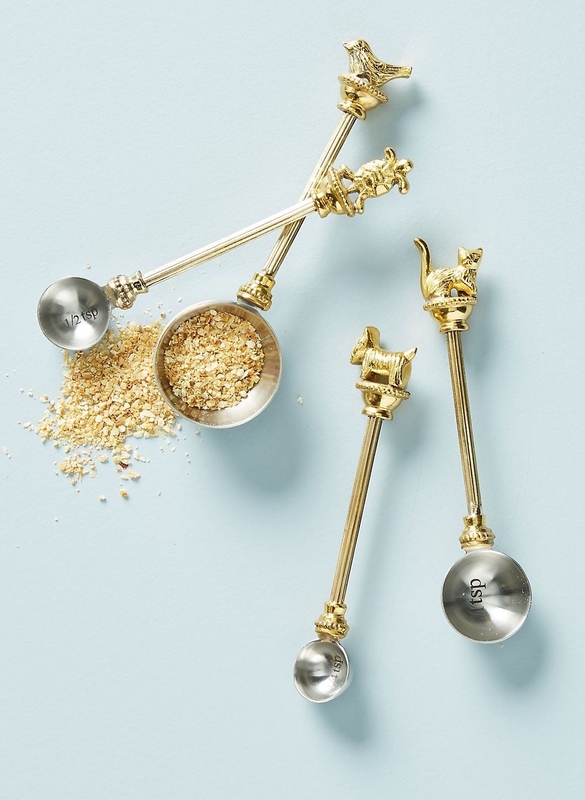 A set of gold measuring spoons or cups that'll make them want to rediscover that room we call the kitchen and *maybe* test them out. More likely, they'll hang them up proudly as a luxe display. 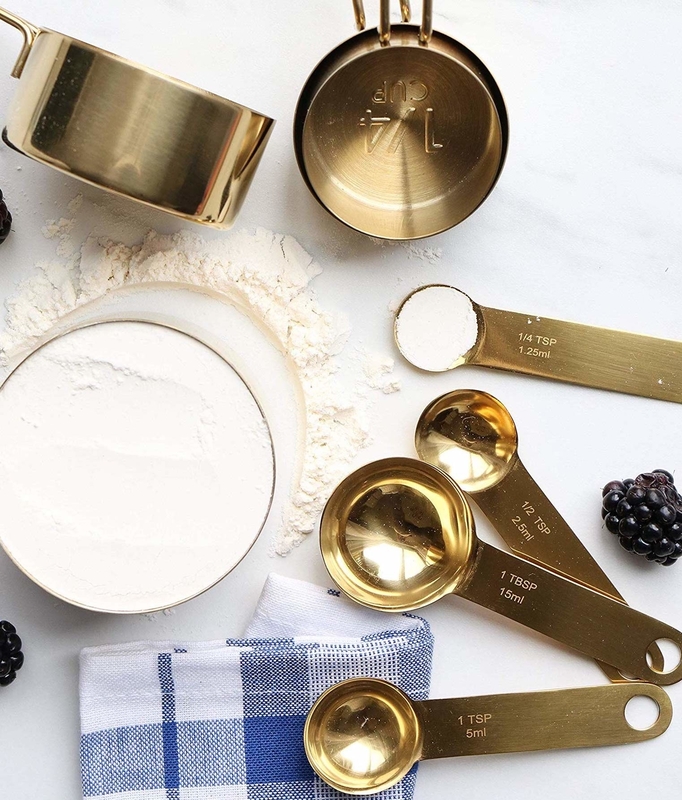 Get the measuring spoons from Anthropologie for $32 for a set of four and the measuring cups from Amazon for $21.95 for a set of eight. 12. A wireless waterproof speaker, because they'll be sure to ~sing praise~ about what appears to be a huge tech splurge on your end. It boasts 360° sound, can be connected to any bluetooth speaker, is waterproof, and can play up to ~24 hours~. AND it only weighs 1.2 pounds! Promising review: "OMG, what an incredibly wonderful rich sound out of a small and portable speaker! I ordered a second one today. According to the pamphlet you can essentially pair them together to get double the sound. It fits into a cup holder and still emits great sound. This is exactly what I was looking for!" —Donna P.
See what won best bluetooth speakers on BuzzFeed Reviews. 13. A gold-painted candle for shedding a light on your brilliant taste in home decor. Feel free to say you swiped this from Versailles. Get it from Less Candles on Etsy for $12 (available in three colors and two shapes). 14. A pair of metallic wireless headphones so they think you have more money than Dr. Dre. Don't worry: this sleek metallic design, leather earmuffs, and high definition sound quality will never give you away. They can connect to bluetooth, receive calls, and have hands-free communication through the special noise reduction technology microphone. Their compatible with all iPhone X, 8 Plus, Samsung S9, S8, iPad, iPod, Huawei, Nexus, and Amazon Alexa. Get them from Amazon for $27.99+ (available in six colors). See what won best bluetooth headphones on BuzzFeed Reviews. 15. A satin pajama set that'll have them literally sleeping in the lap of luxury. Although they'll look so elegant, they'll probably be too excited to sleep. Get it from Amazon for $13.99+ (available in sizes S-XXL and six colors). 16. 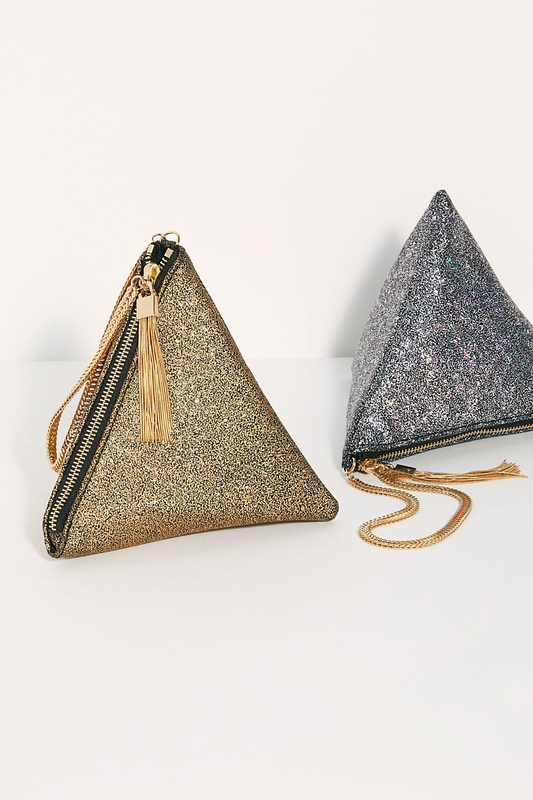 A sparkling chain pouch, because "all that glitters is not gold" SO does not apply to this — unless they'd rather have silver. Get it from Free People for $48 (available in two colors). 17. A gilded mug for making their morning coffee feel a little more luxe, even if they're having it in their cubicle. At least now they'll have some daily inspiration! 18. A pair of floral socks so you can brighten their outfits, one *step* at a time. 2018 is the year we all upgrade from our old gym socks. Get them from Amazon for $3.09+ (available in one size and 14 styles). 19. A celestial gold watch that'll prove they don't need to wish upon a star to get gorgeous jewelry. Get it from Amazon for $26.99 (available in four styles). 20. A fuzzy blanket, because this'll make their old couch look like it came from West Elm. Also, even if they've had the most 💩 day this'll have a 100% success rate of making them forget all about it the minute they're enveloped in a posh-looking cloud. Promising review: "This is a great quality blanket, so amazingly soft. My cats are in love with this blanket. I'm in love with this blanket. I bought one for my couch, and the day it came, I went back and bought another for my bed. Shaggy camel is the prettiest rosy-camel color. I find this blanket does not shed, either, which is a miracle." —Shazia M.
Get it from Amazon for $29.99 (available in two sizes and three styles). 21. A Tarte limited-edition mascara with an initial charm for making their gift feel practically custom-made. Not to mention, this'll curl, volumize, and condition their lashes in just a swipe, making their morning routine feel high-end. 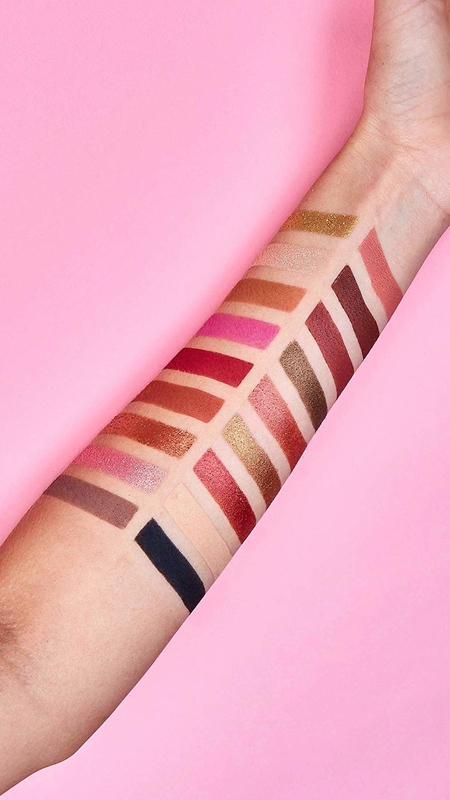 Get it from Tarte for $23 (available in letters A-Z). 22. A knitted beanie with a faux fur pom so they can top off all their outfits with this season's biggest trend. Plus, its double-layered design will remind winter that being freezing is out of vogue. Promising review: "This is such a great hat! Truthfully, it is so much nicer than I expected. I ordered it because of the colors, but it is so thick and warm. 23. A box of Harney & Sons Paris black tea that'll keep them feeling royally cozy all winter. I'd say grocery store tea is too common, but that may be calling the kettle black. Get it from Amazon for $7.19 (available in 10 flavors). 24. An embroidered bralette, because they'll say ~ta ta~ to boring basics and feel extra dressed up, starting with their undergarments. Both are wire-free, stretchy, and have adjustable straps! Get the first bralette from Amazon for $12.99 (available in sizes S-XL and three colors) or the second bralette from Torrid for $23 (originally $32.90; available in sizes M/L-6X). 25. A set of rose gold ballpoint pens for making their motivation flourish...or at the very least improving their desk space. Get a set of four from Amazon for $12.99 (available in three styles). 26. 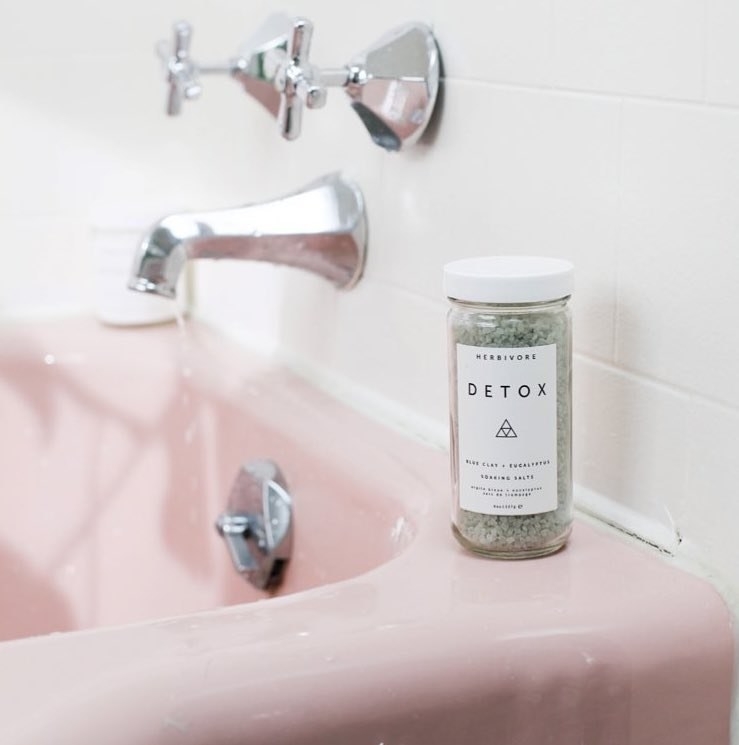 A bottle of Herbivore Botanicals bath salts so they can relax Marie Antoinette-style. Should you bring them some cake, too? ABSOLUTELY. They're a vegan blend of lavender, eucalyptus essential oils, and cambrian blue clay. 27. A gold choker necklace that'll leave them starry eyed for the rest of the season. OBVIOUSLY they'll be up to their neck in compliments. Promising review: "This is incredible, especially for the price! It doesn't scratch or get rusty when wet, and it doesn't turn your neck green even when you sleep or shower with it." 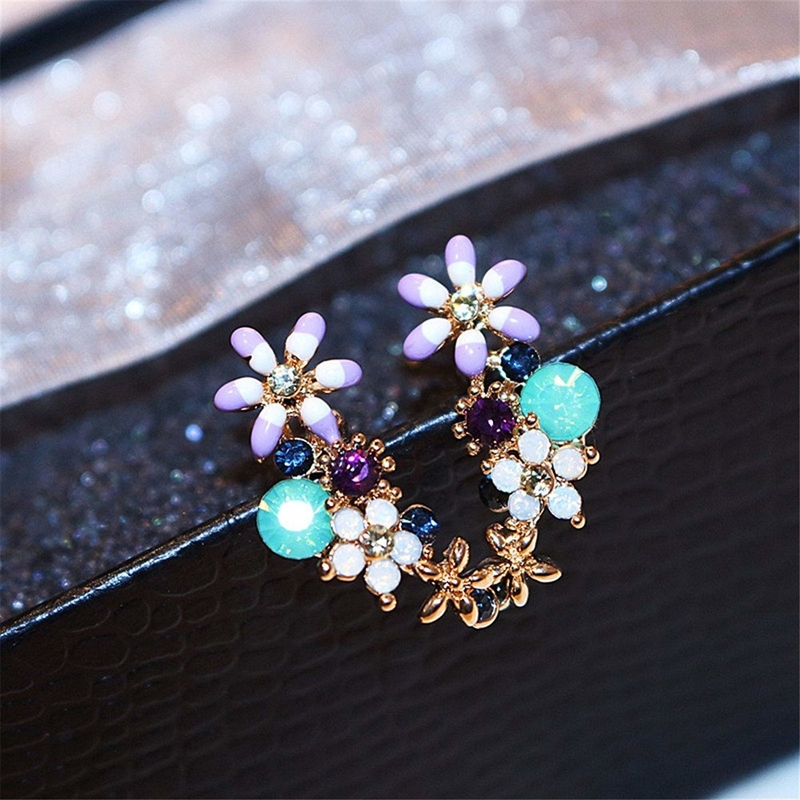 —Kayla L.
Get it from Amazon for $4.06+ (available in five styles). 28. A crystal holder, because now they can stylishly store either their makeup brushes or pens. Either way, you'll be indulging their vanity. Get it from Amazon for $16.90 (available in two colors). 29. A velvet embroidered skirt for teaching them that all an outfit needs to *look* expensive is a bit of luxe material. Just call us the next Tan France. Get it from Amazon for $19.99+ (available in sizes S-L and two colors). 30. An iridescent snitch spinner so they have something pretty to keep their hands occupied without their concentration flying away. Muggles deserve nice things, too! 31. A chic water bottle that'll make them say bah humbug to wasteful plastic. Who knew being eco-friendly (and staying hydrated) could look so sophisticated? 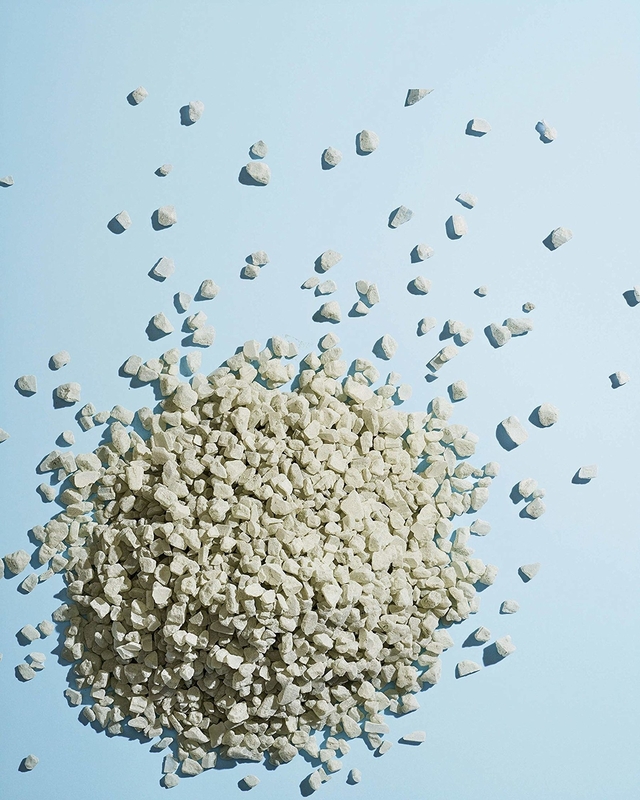 It's flat and lightweight to make carrying this around super easy! AND it's dishwasher-safe! 32. A gold cocktail shaker with engraved recipe instructions, because this'll serve everything ~shaken, not stirred~ — aka it'll be the perfect accessory to a black tie affair. By black tie, I mean the next time you guys hang out on the couch. Get it from Nordstrom for $39 or a similar style from Amazon for $17.99.